Seventy-four percent of Teach For America’s 5,900 2013 corps members are graduating college seniors. These graduates represent more than 800 of the nation’s colleges and universities, and enter the organization to lead high-need classrooms in 48 regions across 35 states. TFA released a chart in August 2013 stating that the University of Washington ranks 14th on the organization’s list of contributing seniors from large schools. With 42 recruits this year, the UW has produced 397 TFA corps members since the organization’s founding in 1990. Recent journalism grad Val Gilmore is a 2013 TFA corps member, who left for training just days after graduation this past June. She is now teaching 4th through 6th grade Special Education at Grant Elementary in Richmond, California. 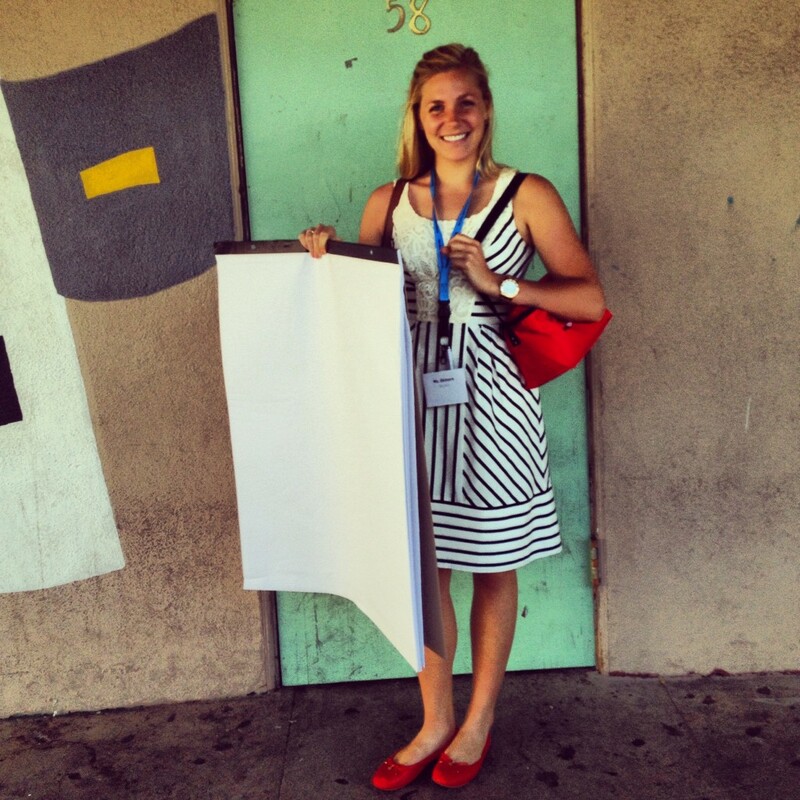 Why did you decide to do Teach For America? My older sister is a 2011 TFA Corps Member in Denver, CO and seeing how the organization has changed her life inspired me to apply myself. I had always had teaching in the back of my mind as a possible career choice and thought TFA sounded like an ideal alternative route to teach without having studied education during my undergrad. What communication/journalism skills translate to what you are doing now? In what ways? The journalism skills I gained at UW have helped me in every aspect of my professional life. No matter what career path you pick, being able to write a strong paragraph is critical. I am simultaneously teaching full-time and working on my Master’s in Special Education, so I am writing multiple essays every week! Communication skills are equally as vital when collaborating with other teachers at my school and my 4th to 6th grade students at the same time. Why do you think TFA is a good option for graduating students to think about? TFA is a fantastic option for students who are looking to join a progressive movement, especially if they are interested in social change and justice. The type of person I have found to be most successful in the organization is very organized, self-motivated, and flexible. I believe it is a great option for graduates looking for an adventure and are willing to put their lives on hold, as this work requires 110 percent of your time and energy! I will offer a fair warning that TFA members are met with a lot of resistance by traditional teachers, so you need to be prepared to explain why you are a viable and deserving candidate to teach students. Teaching is an incredibly rewarding job and more than anything you need to care about the underdog because the kids you will be teaching have an overwhelming amount of odds stacked up against them. I would highly suggest the program to soon-to-be graduates who are looking to work hard and fight for educational equality!